This is my first tutorial about how to make snowy terrain and some doodads and a proper tileset which may help you make this terrain. I will be using Lordaeron Winter in 64x64 terrain to begin - you may want to use Northrend or Icecrown Glacier as your starting terrain - the only difference is the cliffs because you can always change your tileset. You'll want to set the global weather to something snowy as well. 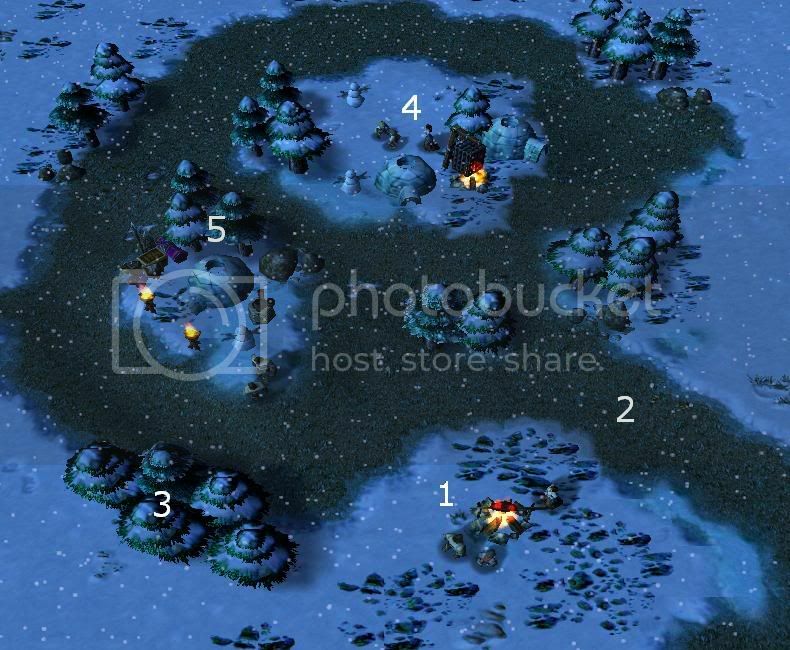 - Set Global Weather to Northrend Blizzard, Northrend Snow (Light), or Northrend Snow (Heavy). 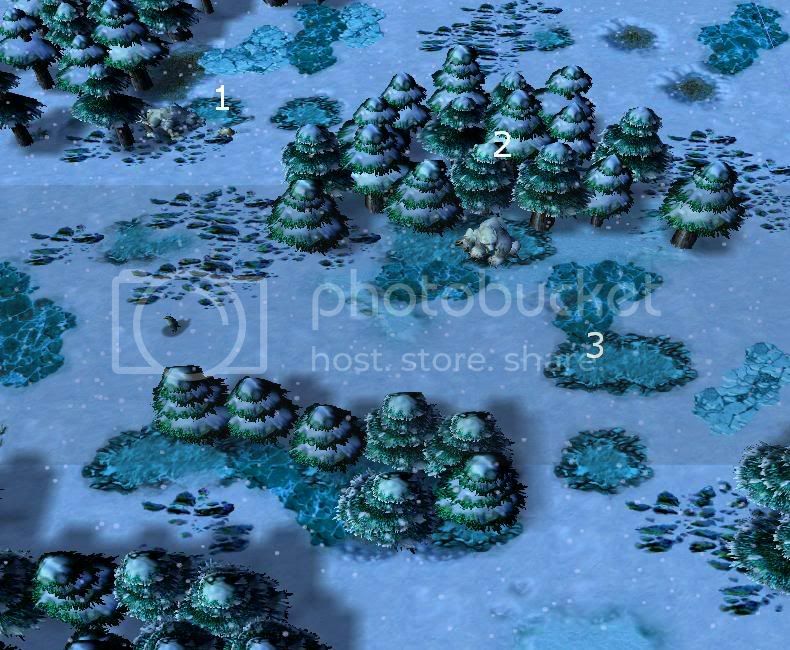 The tileset is very imporant for any map as it gives the map a different look as opposed to just having one tile - it gets boring after a while if there's nothing to look at. And the last tile slots are given to the default cliff tile of grass (which we probably wont be using). - Modify your tileset to your preference. Doodads, along with the tileset are also very important for visuals. You can find this under props - just check 'All' in 'Editor - Tilesets'. I prefer to make a custom doodad based off of Building (under structure) so players cannot destroy the Igloo. - Allow the Snowman to be used in 'All' tilesets. - Create a custom doodad of Igloo. Units also add to the map in the same way doodads and a good tileset do. - Enable the units you want in your map (some may not be enabled). Why make a map which is devoid of lifeforms? Towns add places for people to live, and it also adds a simple, but interesting part to the map. 1 = Fires to keep the people warm during snowstorms and such. 2 = Paths, indented and without snow due to excessive use. 3 = Doodads such as a simple Tree, Rocks, or a Brazier to add to the effect. 4 = People to inhabit the town. 5 = Igloos for the people to live in. 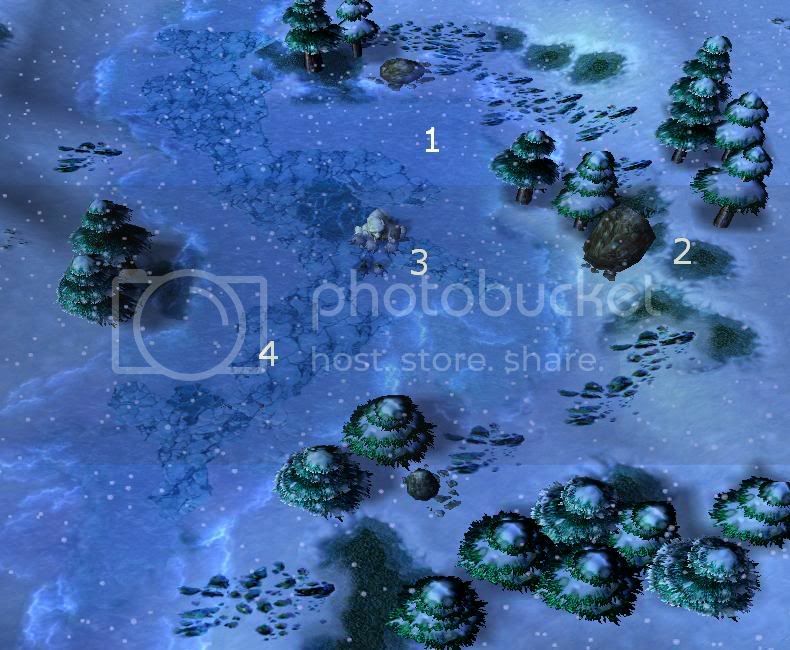 Naturally, you'd want to variate the tiles to make it look a bit more interesting, and try to stay away from Ice because the Ice in Warcraft III tends to make things look hazardous - taking away from the theme of the small, cozy Town. Lakes to draw water from because all the water beneath the earth will have frozen up, rendering wells useless. And also, a great excuse to allow Polar Bears and Penguins to wade in the water. 1 = Water (of course). 2 = Foliage tends to grow more around the lakes than other parts. 3 = Units like the Polar Bear and Penguin, add a nice touch. 4 = Ice under the water. Forests are surprisingly attractive, but really simple to make, and are quite appropriate for the theme of the terrain. 1 = Preying animals (poor rabbit). 2 = Trees (duh) in a pattern, and in clumps which aren't too big*. 3 = Textures variated, much like the lake (Rocky Snow is quite attractive). Basically, what you want to do is make clumps of trees first, and then randomly spread terrain under them. Ice typically shouldn't be under the trees and try to use Rocky Snow more (it really does look nice on the snow). This is my first tutorial, so please don't jab my head with a spear and post it outside your house in an unorderly fashion. Comments appreciated.